Pack for a Purpose is delighted to welcome one of our new interns for the Spring Semester, Sydni Collins! Sydni is a senior at NC State University and will be graduating in May. She found Pack for a Purpose through her internship program at NCSU. Sydni studies Business Administration with a concentration in Marketing and a minor in Nonprofit Studies. 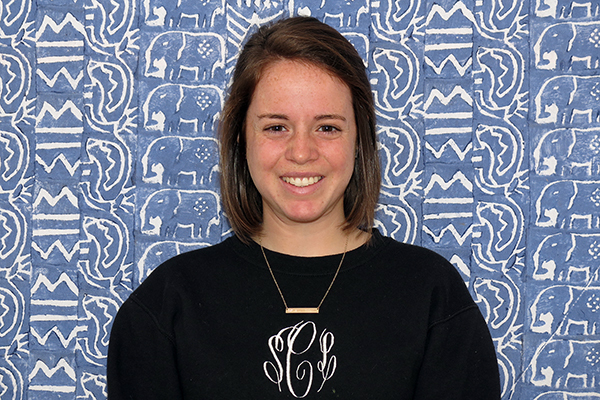 Upon graduation Sydni hopes to follow her passion of helping others through a service trip abroad. Sydni was very excited to become a member of Pack for a Purpose. The impact on people in other communities around the world is what drew Sydni to this program. Her passion lies with connecting people to others in need, working with children and learning about different cultures. These traits helped Sydni realize that Pack for a Purpose was a great fit for her. Sydni writes and edits content on the website, communicates with participants who want to get involved and increases awareness through social media sites such as LinkedIn, Facebook, and Twitter.